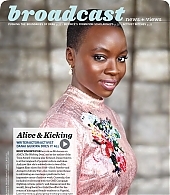 Danai is featured in the October/November issue of BUST Magazine! In it, there’s an article where Danai talks about her beginnings in the entertainment industry, her current projects, and feminism. I’ve added high-quality scans to the gallery and I’ve got an excerpt from the article below. You can read the entire article at Bust.com. When asked how she remains present while managing her multiple roles as a writer, advocate, and actor, she clarifies that she is just as deliberate and purposeful as the powerful women she portrays. From playing Afeni Shakur in the Tupac biopic All Eyez on Me, to Okoye, her warrior character in Black Panther, Gurira’s personas represent a lineage of sovereign women who take ownership of their lives because of their “love of their people” and themselves. Dalton Ross of Entertainment Weekly recently sat down with the cast of The Walking Dead and asked each of them what they’d like to see for their character in the next 100 episodes! Danai’s answer is below. 🙂 I don’t think these are meant to be taken seriously but it’s still fun to read! “Firstly, I think Michonne needs like a crew cut. Like, I think she needs like to take it down to like Demi Moore in G.I. Jane, you know? Something like that. We need to get that going. I also think Michonne should have this sort of superhuman evolution thing happen where she has triplets in, like, four months — helping to repopulate, you know? We’ll get that going. We don’t need no nine-month pregnancies. That’s way too long! So let’s just figure out how to quicken up that process. Evolution’s happening at the same time as the world is ending. You know how it goes. The New York Times published a new featured called “When They Met,” which explores the personal connection that made a difference in the lives of two artists. 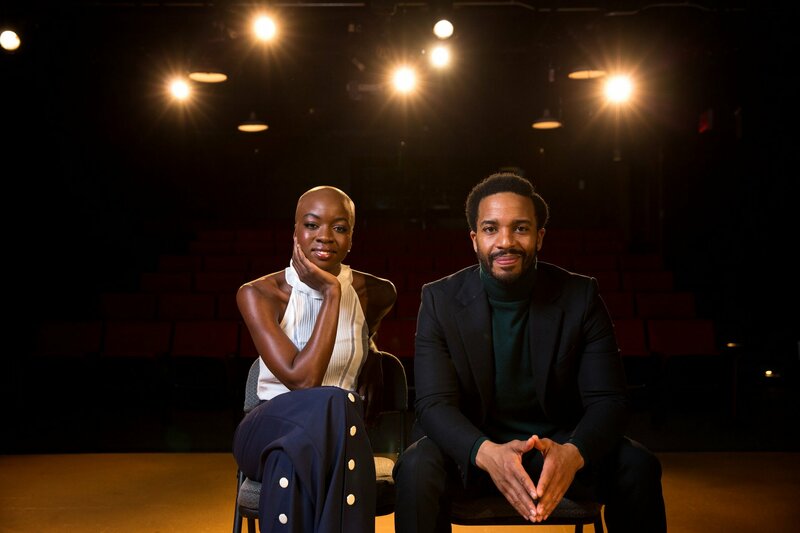 In this edition, Danai Gurira and André Holland discussed how their friendship influenced them while they attended the Tisch Graduate Acting Program at New York University. I’ve got some pictures and a red carpet interview from the event, below, along with a blurb from her speech and a few links to press coverage. Congrats to Danai for the incredible honor!